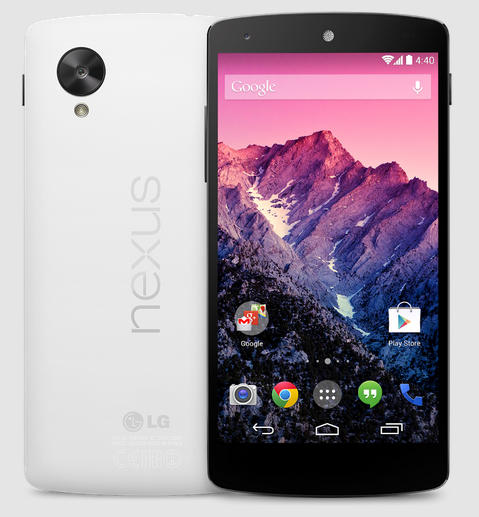 Android users definitely should be giving the Google Nexus 5 a real consideration with its amazing premium tech specs packaged for very affordable price. It comes with the best processor a mobile can currently have, the Snapdragon 800 and 2 GB of RAM. So, it easily competes with the other flagship phones out there. Its Adreno 330 GPU promises to be able to run even the most resource hungry game. It doesn't have problems running anything you throw at it. Its 5-inch 1920 by 1080 resolution IPS display makes things appear gorgeous and crisp on it. It comes with Android 4.4 KitKat and being a Google phone, it promises the latest updates will come to it first before any other. The camera is also a decent enough shooter with 8 MP and optical image stabilization. Powering all these features is a 2300 mAh battery, which can last a day of normal use. 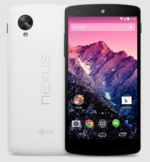 Overall, the Nexus 5 is able to pack a great display with an amazingly fast processor at a great price. The battery is a little small compared to other flagship phones and its camera is mediocre but it gives you the best Android experience. 90.09%: There do not exist many models, which are rated better. The most ratings get ratings, which are a bit worse.